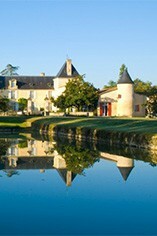 Château Suduiraut is located in the commune of Preignac and its vineyards border those of d`Yquem. The property has a long history stretching back to the 15th century. Only a solitary wing remains of the original château, as it was destroyed by the Duc d`Eperon in the 16th century. The present château was built in the 17th century by the Suduiraut family, who also commissioned a spectacular garden designed by Le Nôtre. Suduiraut was classified as a 1er Cru Classé in 1855. Since 1992 Suduiraut has been owned by AXA which also owns Château Pichon-Longueville in Pauillac and Château Petit-Village in Pomerol. Suduiraut's 90 hectares of vineyards are planted with 80% Sémillon and 20% Sauvignon Blanc. The grapes are harvested in several "tries" and are fermented in 50-hectolitre stainless steel tanks. The wine is then aged in small barriques (33% new) for 24 months. Suduiraut's winemaker Pierre Pascaud has produced a series of outstanding wines which are powerful, complex and beautifully harmonious. The wines show at their best with at least 10 years of bottle age. 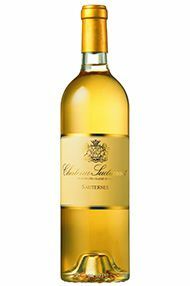 Suduiraut emerged as one of our preferred Sauternes wines in 2010, possessing an excellent primary sweetness of fruit and less evident botrytis; its acidity levels are good and it maintains an excellent balance. The finish is long and the overall impression is one of balance and a good purity of fruit. Wow! Ch. Suduiraut is in Ch. d'Yquem's rear view mirror this year. It is almost as good and will be a fraction of the price. Enjoy it early. In 2001 winemaker Pierre Pascaud has produced a quite extraordinary wine that is a real contender for 'wine of the vintage'. With an elegant honeyed nose, this seductive, creamy, opulent wine explodes on the palate with layers upon layers of complex flavours. The sweetness and acidity are in perfect harmony and the finish is breathtaking. A real revelation. Tasted twice, and both times impressing with its finesse. A wonderful bouquet of honeyed orange zest and acacia, followed by great elegance on the palate with a laser-sharp sense of natural sweetness. Purity again the hallmark, as seems to be the case this year with the Sauternes. 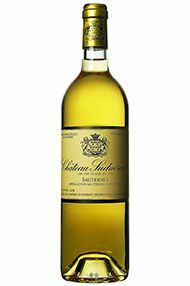 Intense and luscious with ripe notes of orange peel and pineapple, the 2009 Suduiraut is our favourite Sauternes of the vintage. The palate has a wonderful depth of rich citrus and passionfruit flavours whilst a vanilla cream note adds to the broad, lush, honeyed mouthfeel. 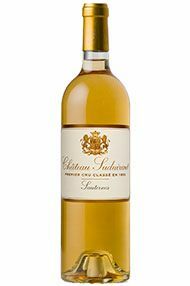 Crisp acidity adds freshness, making this an absolutely delicious Sauternes. Winemaker Pierre Montégut hails from Vouvray, so he particularly enjoys the freshness of his outstanding 2007 made from minuscule yields of 16 hl/ha spread across five pickings. It has one of the most exciting bouquets of the vintage with white flowers, orange blossom and a trace of fresh apricots. The palate is equally brilliant with rich, unctuously-textured peaches and cream and a beguiling complexity. 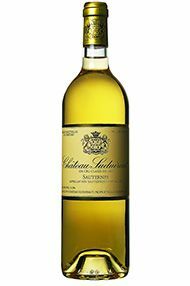 This challenges its legendary 2001 for top place on the podium and is an absolute must-have for any Sauternes lover. Utter liquid decadence! Honestly, it feels “naughty” trying this magnificent wine. Heady aromas of white peach, passion fruit, pineapple and mango all interwoven with clotted cream. Somebody bring me a spoon! Massive concentration with a tangible weight to it none of the other Sauternes we tried had apart from D’Yquem (our top wine of the vintage) but it will be approximately a 10th of the price. I think in the last 50 years 2013 will be regarded just below 1967 and 2001 but above 2007/2005/2003 etc I made a huge mistake in 2001 by not buying enough. I wont make the same mistake twice. Halves for the next 5 years, bottles for 5 to 10 years and Mags for the next generation. Nectar of the Gods!